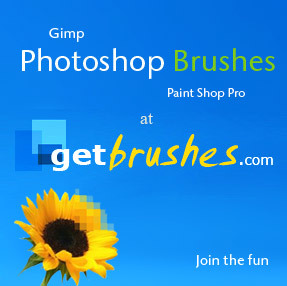 GetBrushes.com is a brush exchange site, featuring the best Adobe Photoshop brushes on the net. The many Photoshop brushes are categorized by type (for example grunge, texture, abstract, fractal and so on…) and author, with nifty previews and and easy navigation. So if you need Photoshop Brushes, feel free to drop by http://getbrushes.com and find the ones you need.